Today on the blog, a classic! 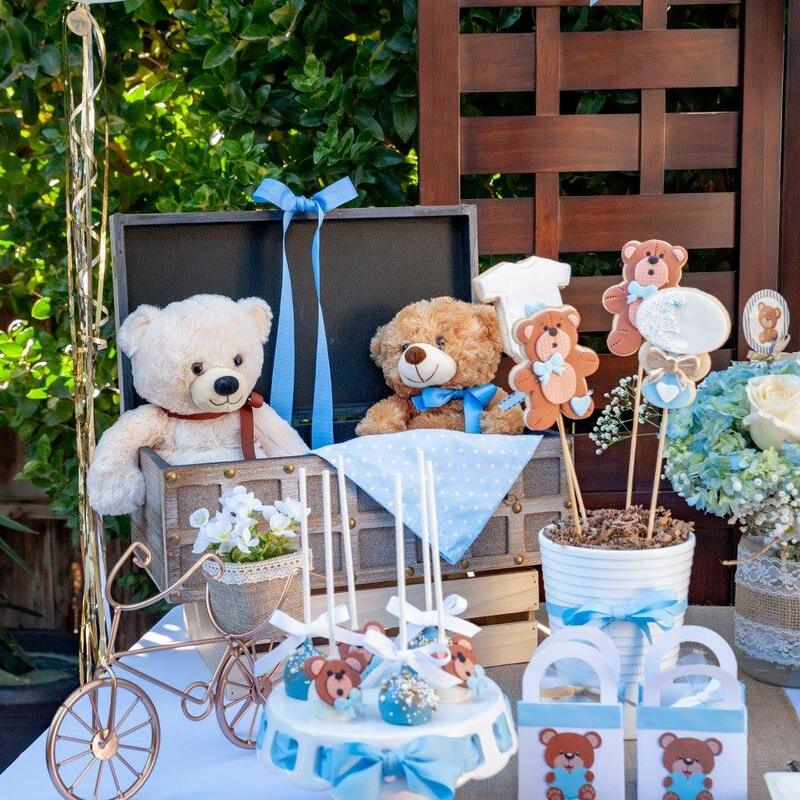 Plenty of readers will love this –a vintage teddy bear baby shower in brown, various tones of blue, white and gold. 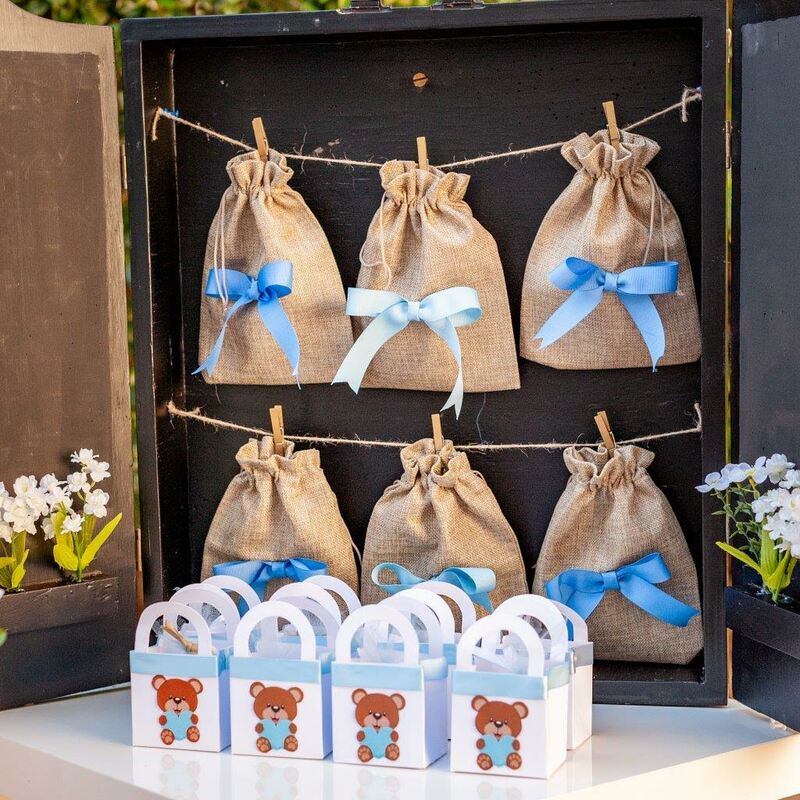 The mamma to be was expecting a baby boy and she wanted a vintage teddy bear theme for her baby shower. The palette selected was baby blue, white and chocolate brown, but in the end different shades of blue were introduced and it was beautiful. The baby shower was styled by Andreina of Ane’s Custom Party Decor. She says ‘There were many handmade elements that I usually like to incorporate into every set up, it is my personal touch. This includes the baby’s name handpainted in wood letters, small handmade goodie bags with some mini merengues, personalised chocolate bars and other details”. For the centerpieces there were white roses and blue hydrangeas which looked gorgeous in the mason jars, decorated with jute ribbon and little flowers. At the end the cake and sweets completed the scene and two big confetti filled hellium gave the frame efect to this simple but elegant baby shower. Follow Ane’s custom party decor on Instagram or Facebook.